What is M5M (Mission 5 Million)? Various organizations, such as Doctors without Borders, WHO, and UNICEF, are saying that “Food is not enough”. 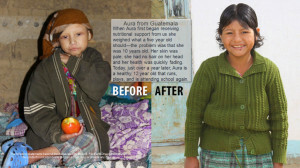 It was reported every year over 5 million children under the age of 5 are dying due to malnutrition. That is more than 10 children every minute. This is the crisis our business is addressing. This is the raison d’être for our existence — our goal of linking consumers with children. Mannatech chose to use their expertise and they formulated PhytoBlend to address this crisis. M5M™ was born. Mannatech became the first MLM/network marketing company to be classified as a Social Entrepreneur Company. We are the first Social Entrepreneur Company that offers financial rewards to all who purchase products. (Check our Associate tab.) That is what makes us unique. We find it a joy being able to earn an income and help save lives at the same time. Our Customers appreciate knowing that not only are they having healthy supplement, they also know that their purchase helps someone else as well. And customers also can qualify for the 10% Loyalty Points as well as the 180 day unconditional guarantee — on empties too! You have examined the facts and you like what you see. However, you do not wish to purchase any products. You are wondering if there is a way you can still help. We work through a 501(c)3 charity where you can make a donation on line. You will receive a receipt which is useful as a tax deduction in the United States. And, in advance, THANK YOU!